Skincare is a multi-billion dollar a year industry. In 2017, the global skincare market was worth 128 billion USD, with a predicted growth up to 180 billion USD by 2024. The way an industry reaches figures of such a grand scale isn’t just by creating effective products that work. Big money also comes from manufacturing products that appeal to a broad range of price points, and with smart marketing. If someone can convince you that you need what they’re selling, and you have the money to pay for it (and often, even if you don’t), the rest, they say, makes data. So, knowing from experience how much it legitimately costs to manufacture safe, high-quality ingredients for use in skincare, it makes us nervous to see how cheap some products retail for. We’ll never name names, but when we see moisturisers and other popular skincare products selling for $40 or lower; there’s no other conclusion than the ingredients and packaging used to create those products fall short of standards upheld by many manufacturers in the industry. While you might be saving money in your wallet, there are potentially severe costs to you and your health associated with regular use of budget skincare. Many skincare products now bear the trendy tagline ‘paraben free’. Many budget products do not. Parabens are harsh chemicals used to preserve creams and lotions. While the industry has come a long way in recognising that these harmful chemicals may have carcinogenic links potentially leading to long-term complications to health and fertility, many manufacturers have just gotten smarter at disguising them. While the use of parabens is strictly banned in skincare in Europe, they may still be present in budget brands across Australia, and it’s entirely legal to put them there. Sadly, ‘harmful chemical’ won’t always be written so clearly on the label. Instead, look for ingredients such as methylparaben, ethylparaben, propylparaben, and butylparaben and avoid at all costs. Salicylate is a common ingredient found in lower-end skincare products designed to exfoliate and condition. It’s also naturally occurring in varying concentrations in plants which means that a product containing salicylic acid can legally be labelled ‘organic’ or ‘natural’ even though the ingredient is a well-known allergen. Your skin is the body’s largest organ made up of millions of pores that need to breathe. Moisturisers and liquids made from inferior ingredients often have cheap fillers added to make the product extend further. These thick and heavy ingredients can clog pores disrupting oil flow leading to breakouts and acne. While acne can be the result of using budget products, once the oil flow is disrupted, your body naturally responds by increasing the production of sebum. This can turn into a long-term problem leaving you susceptible to breakouts even after you’ve stopped using the questionable product. One of the skin’s primary functions is to protect the body from environmental toxins. Budget skincare that is willingly applied to skin can be counterproductive and can end up causing permanent damage and accelerating the signs of aging. Sulphates are abrasive petrolatum-based ingredients used in many budget cleansers that cause the product to foam. While healthy skin cells are bright and hydrated, prolonged use of harsh sulphates can strip away natural oils leaving skin dry, dull, flaky, and increasing the appearance of fine lines and wrinkles. Once these tell-tale lines become prominent, makeup coverage becomes harder and, in many cases, will highlight the problem areas rather than correcting them. Avoid sodium laureth sulphate and sodium lauryl sulphate. Perhaps the most significant potential consequence of using budget skincare is the increased risk of cancer. Of course, the industry is regulated, and manufacturers can’t put large quantities of known carcinogens in their products just to make them work better at a lower cost. All products must go through rigorous testing before a product can go to market. Unfortunately, the risk is only classified by ‘immediate’ risk to health and, as we know, cancer is a long-term risk that may develop with the prolonged use of a product containing toxic ingredient(s). Formaldehyde and formaldehyde-releasing preservatives (FRPs) are toxic ingredients used in many beauty products (including baby washes) used to prevent bacteria growth and therefore increasing the shelf-life of your product. Formaldehyde is a known carcinogenic and is banned in some countries including Japan, however, in Australia, it’s still permitted in small quantities. Check your labels and avoid the following ingredients: Formaldehyde, quaternium-15, dimethyl-dimethyl (DMDM) hydantoin, imidazolidinyl urea, Diazolidinyl Urea, sodium hydroxymethylglycinate, 2-Bromo-2-Nitropropane-1,3-diol (bronopol). Products designed to reduce blotches and blemishes contain ingredients that darken or bleach the skin. When ingredients are poor quality, this can lead to permanent discolouration, patches, pigmentation, uneven skin tone and redness. Mercury is a traditional ingredient used in skin lightening creams. Prolonged exposure to mercury has been linked with gastrointestinal disorders, memory loss, kidney damage, changes in vision, depression, and numbness to face and hands. Because of its significant risk to health, mercury was banned for use in consumer products in most countries in 1974. Unfortunately, in Australia, traces of mercury are still found in small amounts in some parabens. It’s therefore entirely possible that your budget products may contain the dangerous mineral. Not only this, cheaper products primarily bought online go through less stringent regulatory processes and are more likely to have been imported from countries where regulations aren’t as strict. So, even if you do read the labels (look out for mercurous chloride, calomel, mercuric, or mercurio), there’s no guarantee you’re buying a safe product. Your skin’s primary function is to protect you. It’s a sensitive organ, and it must be treated with care. Harsh chemicals found in budget products can lead to permanent damage to your skin and your overall health. Please always read the ingredients label and truly inform yourself of what you’re putting on your skin. While it might not seem that important for something you apply once or twice a day, remember that what you use on your skin can be directly absorbed into your bloodstream. The full range of Biologi serums contain just one natural ingredient. Biologi products are 100% pure plant extract with no chemicals, preservatives, or synthetic ingredients…not even water or fragrance. 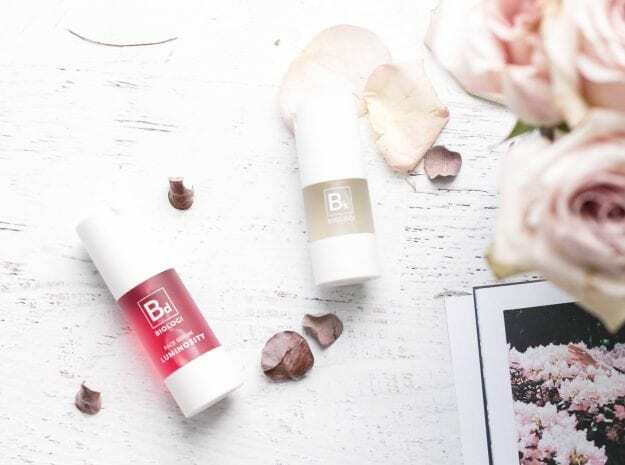 Whether you want to hydrate, reduce fine lines and wrinkles, or reduce the effects of acne and blemishes, Biologi will treat a range of skincare concerns safely. Always read the ingredients label before you choose a skincare product, or, better yet, choose a product with just one natural ingredient…choose Biologi.